A family-owned business now in its third generation, Giorgio’s provides upscale men’s fashion since established in 1975. 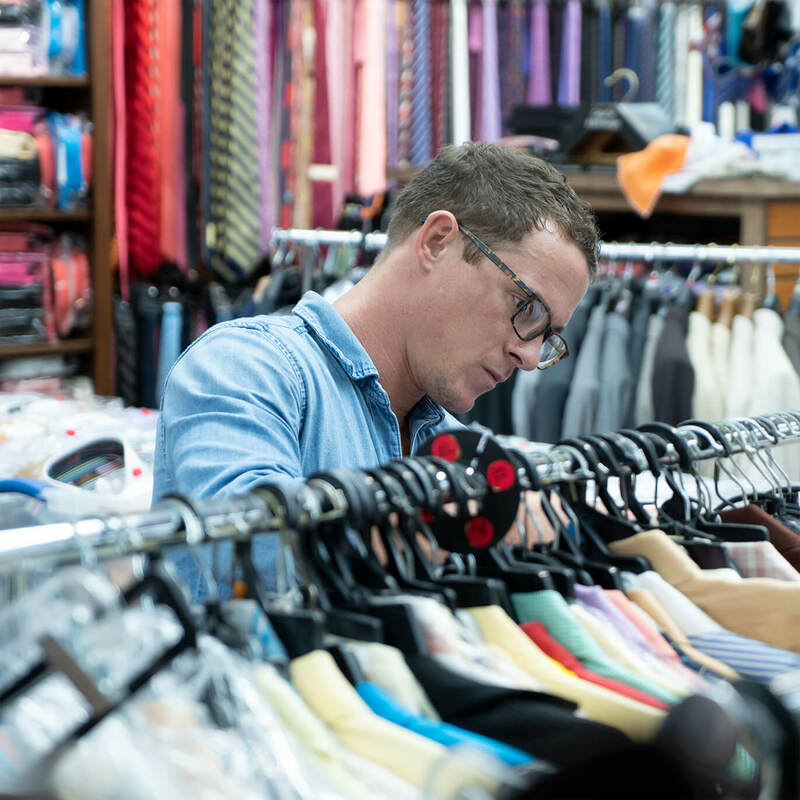 With the knowledge and experience gained with forty years of combined experience in the men’s clothing industry, we have created a shopping experience like no other. Giorgio’s originally opened in 1975 as the “Soul Man Shop” to cater to the African American Community due to racial climate of the time period, and with ourselves being minorities it was a better fit at the time. In 1998, we moved into our current location and decided to change the name to “Giorgio Men’s Warehouse” to begin our transition into catering to a diverse customer base that was reflected in the rapidly transforming downtown area. At Giorgio’s, we believe in offering the best possible clothing for the best possible price. We do not wish to be the least expensive or the most expensive clothing store but we do want to be able to offer the customer the best value in the market. During the late 2000’s, we made a conscious effort to rebrand the store by completely renovating the physical location while aggressively obtaining every major clothing label offered to specialty stores including Cole Haan, Johnston & Murphy, Ralph Lauren, Michael Kors, Sean Jean, Fossil, Levis, Lacoste, Tommy Hilfiger etc. With a new branding strategy of upgrading the store location and offering Brand Name goods, we also revised our business strategy to focus on being the best value proposition in the market. 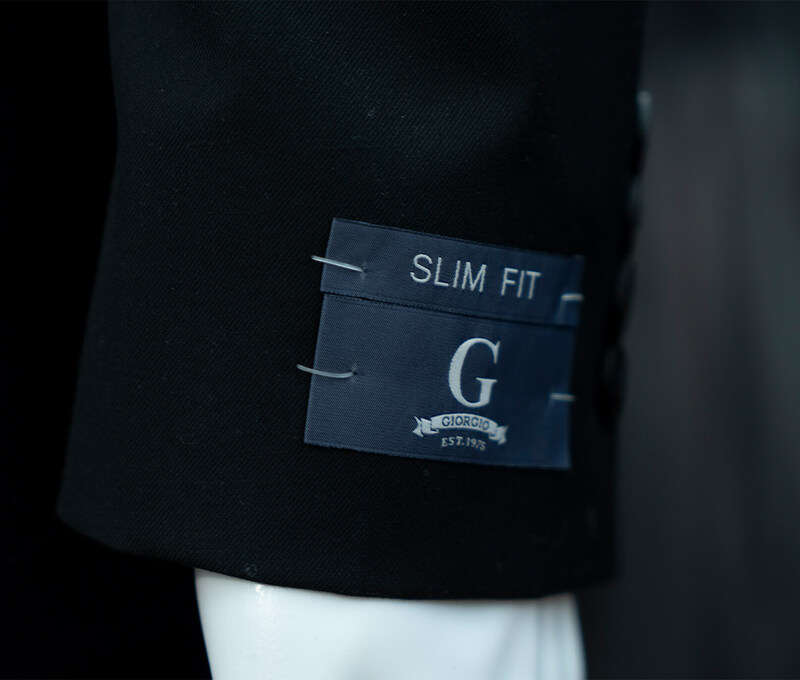 With a staff that possesses over 100 years of men’s clothing experience combined and an in-house tailor, Giorgio’s has one of the most experienced sales staff in the industry, which allows us to complete customer’s alterations faster than any other store in the market. 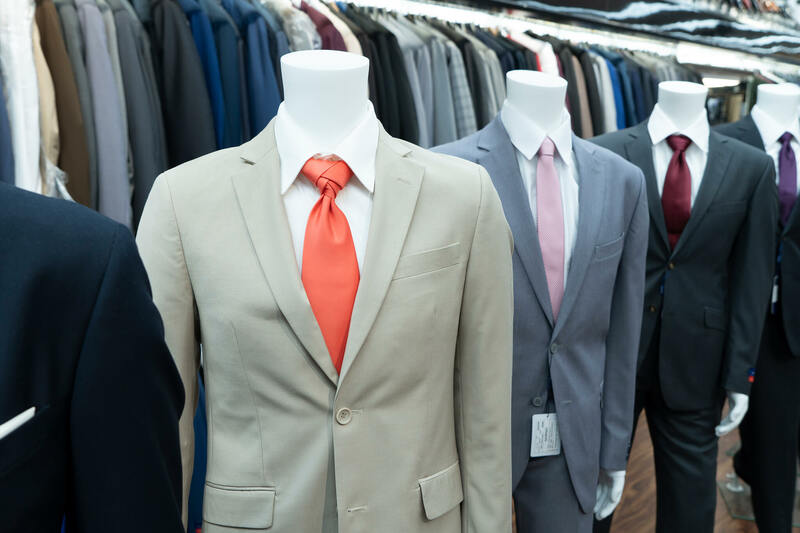 We proudly are the only store that can guide a customer through the buying process, fit the customer, and have the alterations completed for the customer within 30 minutes. As of 2016, our team of experts has tirelessly worked together to bring higher quality goods to the market at even lower prices by manufacturing our own suits, shirts, ties, shoes etc. Our Sterling Sewn brand has been one of the most popular clothing lines we offer by combing the latest fashion trends with high-quality garments that we are able to offer at incredible prices. 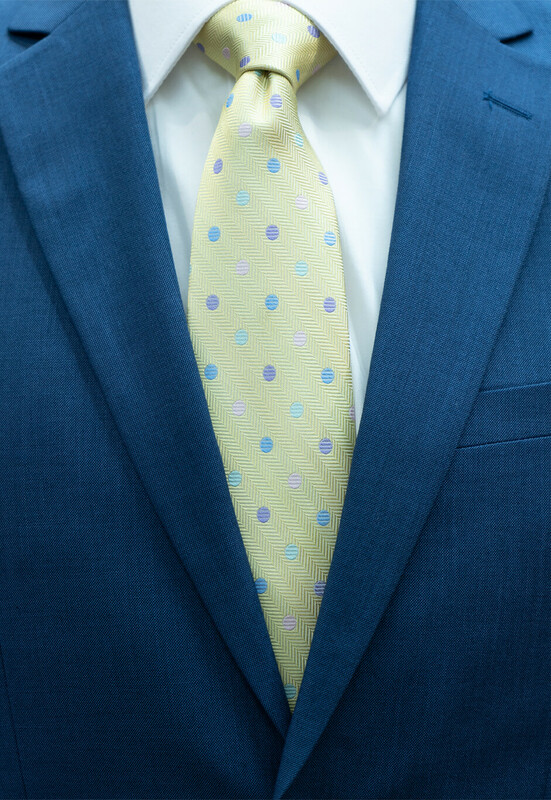 By manufacturing our own clothing we have been able to focus on and serve the large wedding market by offering the suit, shirt and tie for only $180 for purchase. Led by the third generation of the family, Giorgio’s continues to grow and go beyond expectations.